When you need commercial or residential roof replacement in Tampa, FL, look no further than the specialists at Dynamic Roofing Concepts. 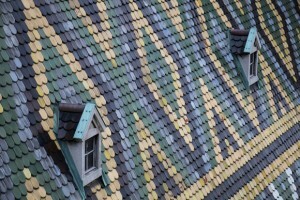 Our extensive selection of quality roofing materials and styles is unparalleled in the industry. As the preferred roofing company in the Tampa area, we are proud to provide warranties that cover labor and materials. Our high-quality roofing products are energy efficient, making your replacement roof experience beneficial for the long-term. If you need a tile or asphalt shingle roof in Carrollwood, FL or Odessa, the professionals at Dynamic Roofing Concepts are here to help. Our highly skilled staff has the expertise to handle repairs on nearly any type of material available for both commercial clients and residential homeowners. Our technicians undergo professional training that equips them with the knowledge to replace or repair your roof correctly. In addition to roof repairs and replacement, we also install chimney caps, elastomeric roofing, and skylights. For a roof replacement estimate for a commercial or residential roof in Tampa, FL or Plant City, call Dynamic Roofing Concepts. Our quality workmanship and products exceed our customers’ expectations. Contact us today at 813-257-9355 to schedule a free estimate.